Another wonderful workshop and fantastic performance by Del Rey at The Cumberland Arms on Wed 2nd September! Keith Perry very kindly took group photo’s before the Ukulele Workshop and Aaron Tucker snapped away indoors! 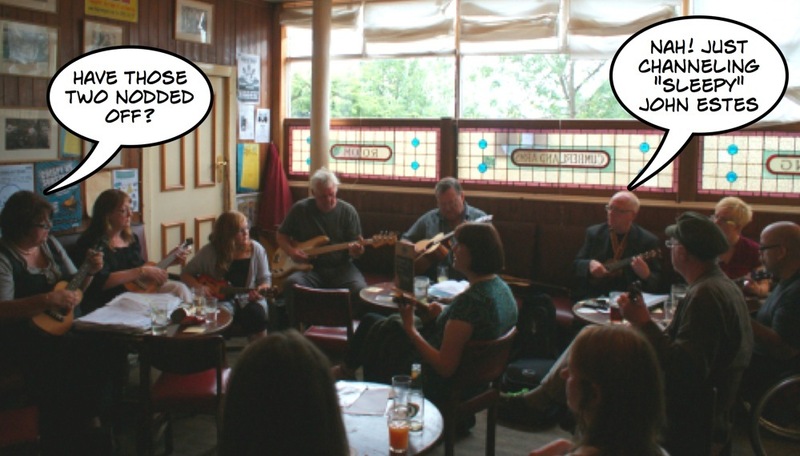 There were over forty people at Del’s guitar and ukulele performance – the biggest turnout so far! Many thanks to everyone who took video and uploaded it to YouTube – especially to Paul Hurrell, who not only captured Del’s “Workshop Highlights” but all of her performance! Finally, many thanks to Del and to everyone else who made this event happen: to Aaron Tucker for creating the event posters, Dennis Bell and Tommy Stephenson for helping on the night, The Cumberland Arms for the venue – and Newcastle Kingsmen Rapper Team for letting us have their usual practice time in the venue – and to everyone who came along and made this such a memorable and inspiring night! 3/4 of the £12 “Workshop + Performance” tickets sold in less than 7 days! won by a narrow margin over “Slide Ukulele”. Have you ever heard a song and really wanted to play it but couldn’t find chords online? Or found chords only to feel that they weren’t correct? In this workshop you will learn how to figure out the chords and rhythm to any song you can hear – using only a cheap chromatic tuner and a “circle of fifths” in the handout. There will be some music theory involved but nothing too difficult to remember. 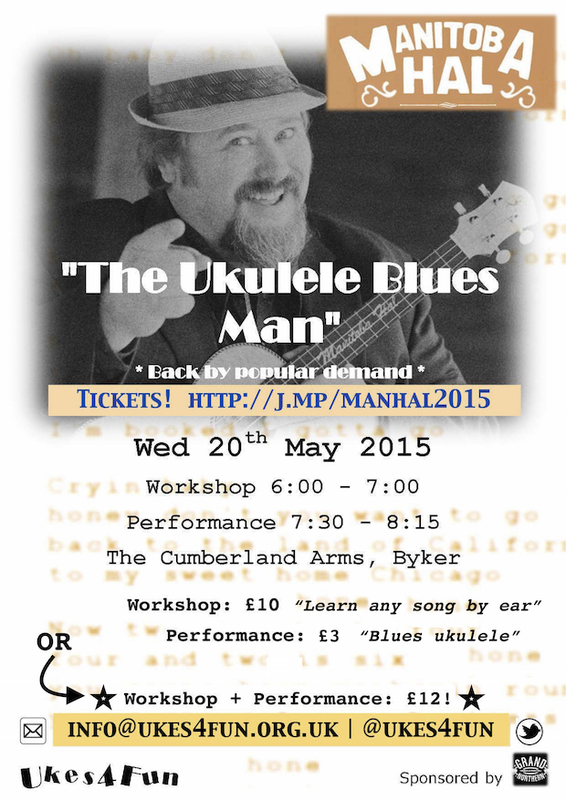 * Suitable for all ukuleles and all skill levels. Also, see this blog post from last year – Hal’s last workshop was fully booked. The way tickets are flying out the door for this one, “back by popular demand” is putting it lightly! 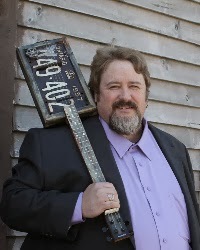 Whether you are getting yourself revved up for this workshop or just want a great primer on how to play Blues Ukulele – see Manitoba Hal’s “Ukulele Blues Method Book“! Hal revised this for his UK Tour last year – hopefully he will be bringing more copies along this time! As last year . . .
Manitoba Hal’s UK Tour has been organised by those wonderful, groovy people behind Northern Uke – the Grand Northern Ukulele Festival! Over half of the “Workshop + Performance” £12 tickets are spoken for now – so hurry, hurry, hurry! Also, see this blog post from last year – Hal’s last workshop was fully booked and we expect this one to be just as popular! Good to know that Manitoba Hal Brolund will be back soon!